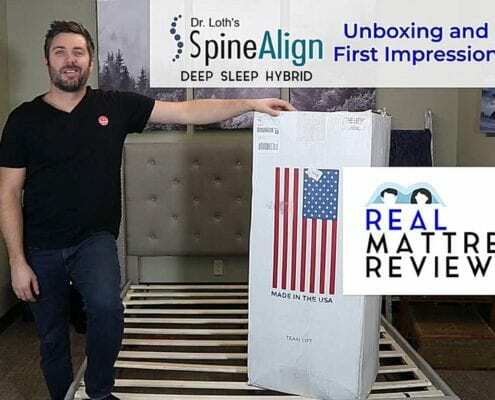 Spine Align Mattress Review - Should your Chiropractor Recommned it? 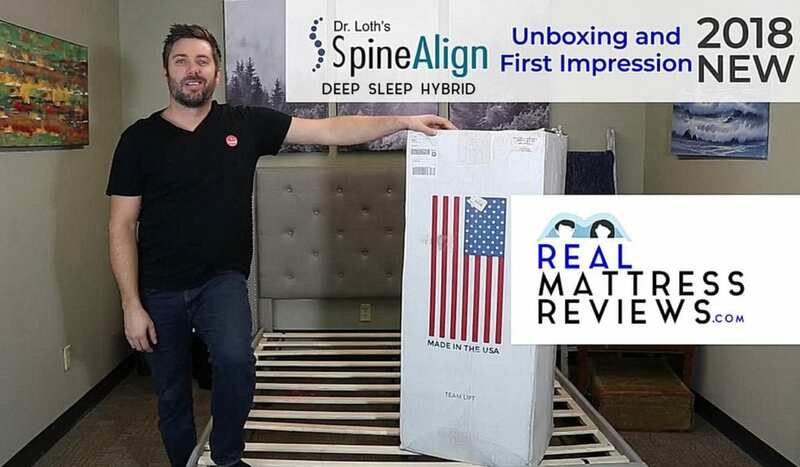 Spine Align is newer to the mattress game. With 3 models to pick from. This is the medium price and a great hybrid. It’s very substantial and has some great components packed in. Watch the videos, rwad the review and use our coupon! The SpineAlign has some very nice properties at first glance. 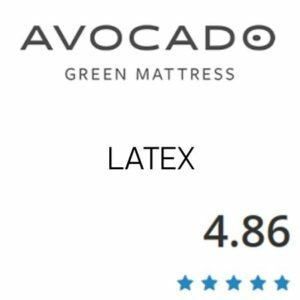 It has anti-microbial aspects, temperature regulation and promises to be a luxury mattress without the high price tag. With some pretty grand claims and some seemingly blind faith in their product; we anted to take a closer examination of Dr Loth’s mattress to see if it is quite as good as it is made out to be. Let’s go into detail over the features to hep us decide if the Spine Align is hot, or not. Nothing says ‘professional’ like getting a Doctor to endorse and help devise your product. Straight away we are expecting lumbar support or special techniques that allow for better support than most beds. The website also looks professional, the colors are a little blah but the images and information is all there. The one thing that we notice is missing is the dozens of customer reviews we would have expected to find from a big brand bed, but we suspect this says more about how new the model is and less about the actual brand itself. Either that or they are slow to update their website which we simply don’t believe. Aside from the boring colors the website looks sharp, the bed itself looks like it is built to a sturdy and good looking design and the branding is sleek and on-point. A criticism is that we keep misreading Dr Loth for Dr Sloth, which is a different thing entirely. Besides, it is far too late to change their name now. This is a nice thick mattress that looks promising and has promising advertising to go with it, even though we have never heard of this mattress before we tested it for the review. We will award the SpineAlign 8 out of 10 for branding. A few more adverts wouldn’t hurt but the angle they have, of having a Dr endorse it, is a tried and tested method for success. Delivery of the SpineAlign mattress should take between 7 and 10 working days. If it hasn’t arrived by then feel free to contact the manufacturer. The mattress will arrive rolled up and sealed in a plastic vacuum packed container. This package is then sealed inside a cardboard box to protect it from damage during transportation. Manufacturers ship them this way because it saves on carbon emissions and helps us preserve the environment. When our package arrives we recommend that you take it to the room you want the mattress to stay in before you unpack it. This will save you any heavy lifting later on. Once you have the mattress where you want it take a sharp tool and open the box. Next very carefully cut away the plastic without slicing into the fabric of the bed. Once you have removed the wrapper the bed will start to expand! Your bed should be fully expanded within 24 hours of your unpacking it. There shouldn’t be any indentations from the process and you should start with a fresh and clean, factory-delivered product. You can place a mattress protector and sheets on straight away and begin to sleep on it. We gave the SpineAlign a 10 out of 10 for delivery and setup. • Tend to sweat in your sleep or sleep hot in general. It has excellent temperature control that will see you super-cool all night long. • If you want a choice over medium, soft or firm on the firmness scale. • If you are in need of extra spine support then this bed was literally made for you. • If sleeping causes you aches in your joints then this mattress is brilliant. • The SpineAlign is a hybrid mattress, meaning it’s great for those that still want some bounce! • If you want a full foam or true memory foam feel then another model might suit you better. • If you have a problem partner who tosses and turns in their sleep you may want a bed that prioritizes motion reduction. • If you don’t like a mattress that contours to your shape then choose a traditional spring over a SpineAlign. • If you naturally sleep cold then you may want a model without temperature regulation. Dr Jason Loth seems to have covered all his bases here in that they can produce either a soft, a firm or a medium mattress. This immediately opens up their customer range to just about everyone. 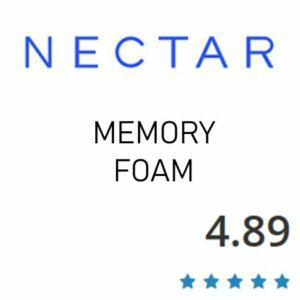 The Luxury Hybrid tries to cater to everyone by making an affordable luxury memory foam bed that boasts CertiPUR-US certification. On account of the endless options of comfort level in this bed we knew it was going to score highly. The top layer of this bed is made from Arcticphase Gel Infused foam – that’s their own patented hyper elastic foam that contours to your body and provides a cooling-gel infused temperature the whole night through. Depending on how firm your bed is you may or may not sink right into that layer. The manufacturer can change the density to suit your needs. The second layer of this mattress is a cooling infused layer too, so gel and foam encase you in heavenly bliss. 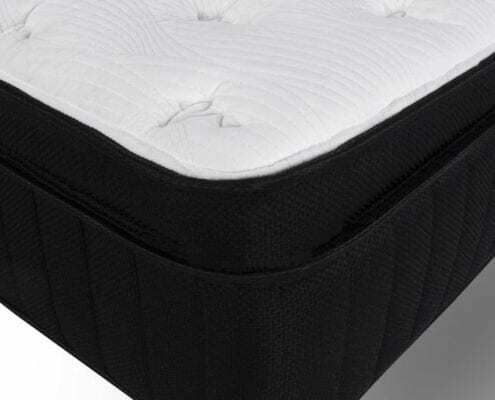 The top of the mattress itself has a quilted feel that makes it cushioned to the touch and adds extra breathability. All in all this mattress has gone all out to achieve maximum comfort… and customers love it so we won’t complain. We gave Dr Loth a 10 out of 10 for comfort and feel. The pocketed coils provide good motion isolation compared to an old interconnected coil unit. The elasticity of that top layer helps to spread your weight and but it fails a little when it comes to isolating motion. The bounce of the springs combined with the bounce of the elasticity makes for a bed that hugs you but that does move with you a little if you move around. That being said; not everyone is looking for a bed that they sink in to. Of course, you also have the option of increasing the softness or firmness choice of your mattress in order to get more or less motion reduction as required. Again, the many choices you have with this mattress works in its favor and provides a variety of options for you to meet your luxury comfort needs. To us this is a bit of a deceptive term. Off-gassing simply means that when you first bring the mattress home it might smell a little of the place where it was stored, and is really nothing to worry about at all. It is similar to a new car or new shoe smell and shouldn’t present a problem in terms of health. However, if you are worried about these things then that CertiPUR-US rating should go some way to putting your mind to ease. Strangely, it is often organic or all-natural mattresses that smell the most because of the natural release of gasses from their components. You don’t need to worry about that with the SpineAlign, however, and any smell should dissipate within 36 hours – about as long as it takes the mattress to stop smelling of the storage facility and start smelling of your home. If you do notice a smell it should become barely noticeable once you add your mattress protectors and sheets to the bedding, but it should not linger longer than that. We gave the SpineAlign a 10 out of 10 for off-gassing, it seems that there is no smell to it. A hybrid sports the best of both worlds by placing soft and comforting memory gel in the top layers. The springs in the denser bottom layers mean that you never sink too far into this mattress and that you won’t roll off in the night. The SpineAlign has the added benefit of having those springs encased in dense memory foam that runs all along the outer edges of the bed. This means that you have a tougher edge than you do anywhere else on the bed, regardless of how firm the choice of mattress. It also means that if you roll onto the edge in the night you will feel it and subconsciously know that you are about to fall off. This bedding will never give way and allow you to fall to the floor. All in all we were fairly impressed with the edge support in this model and had to give a score that reflected such. We awarded a 10 out of 10 for edge support in this area, they really did do very well. 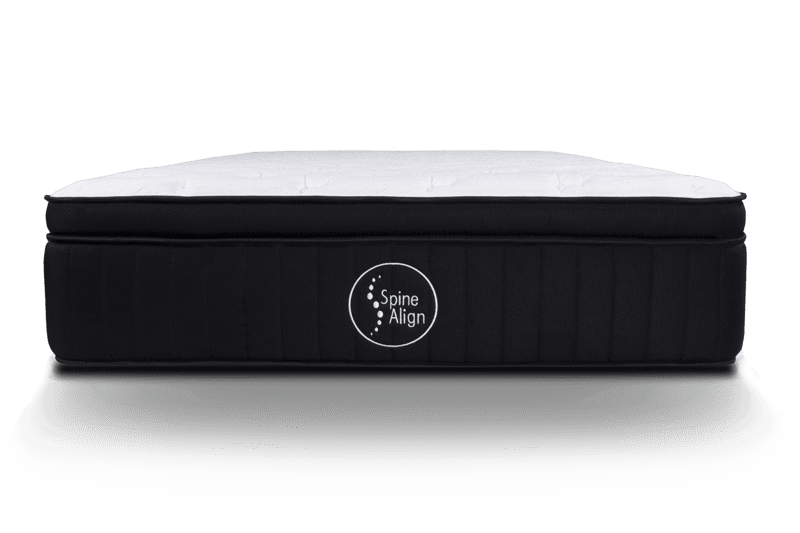 The SpineAlign rather proudly boasts five layers that all promote breathability and encourage air flow through the mattress. The top layer is that Artcticphase patented gel foam that we mentioned before. This hyper elastic mix is designed to cool, contour and support as you sleep. 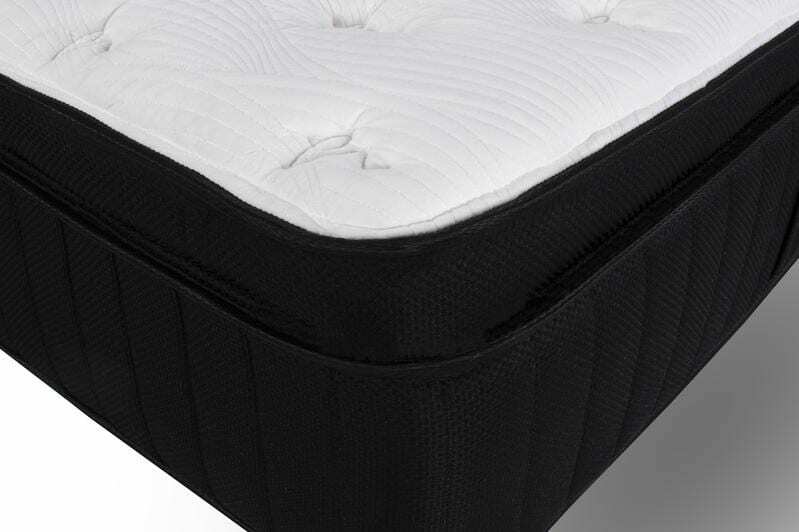 Of course it is also topped with that plush quilted effect material that allows for better rest. Underneath that 1.5 inch layer of Arcticphase is their patented Serene foam. This layer isn’t just cooling but also has anti-microbial properties that help to prevent things like bedbugs, mites and bacterial build up on your mattress. Underneath that cooling, soothing layer is a 1.5 inch later of their patented Primetra foam. This is what we call a transitional layer that helps protect the foam above from the coils below. As a result it is fairly high density and serves its purpose well. This lends strength and durability to the mattress while helping those edges stay firm and stopping you sinking too low. Beneath the transitional layer is an 8 inch thick layer of Max Engineered pocketed coils. Each of these coils is wrapped in a high density memory foam of its own, lending strength, protecting against wear and tear and ultimately making them sturdy as hell. On top of that this layer is encased which gives the bed that magnificent edge support we were talking about before. Under this in the final and base layer is 1 inch of HD Supportive base foam. This is durable and compressed down into a solid base that provides support for all of the structuring above. This is not a mattress you should flip unless you want to end up sleeping on this stuff. The crew at Dr Loth’s have put so much effort into constructing this model that we were obliged to award another 10 out of 10, just like giving an A for effort. The Spine Align will work great on any solid surface. The floor, platform slats, boxspring/foundation and they now offer an adjustable base as well. Doctor Loth has gone a long way into researching and developing the perfect materials to keep you cool through the night. With this mattress the cooling features are dual purpose. They are not only meant for the hot sleeper but also to provide cooling relief to people who suffer from aches and pains in their joints or muscles when they sleep. If you happen to experience hip or shoulder pain as you sleep then the SpineAlign might be just what you need. Like we mentioned above there is a dual cooling gel layer in this bedding, both the top layers are made with cooling gel infused memory foam. The top layer of cushioning, quilted fabric also provides high breathability and they boast that the entire mattress has been made with temperature as a high priority. We agree, and we don’t believe that the high temperature control changes between firmness ratings at all. 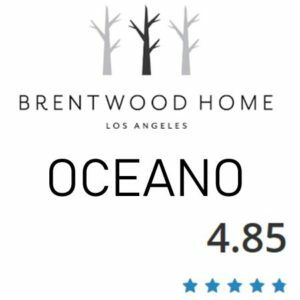 Customers are saying it is the coolest night’s sleep some of them have ever experienced and there isn’t anything to complain about in this department. The SpineAlign does so well in regards to temperature that we would award them an 11 out of 10 if it were possible. Unfortunately we need to stick with the ten… but well done Dr Loth. 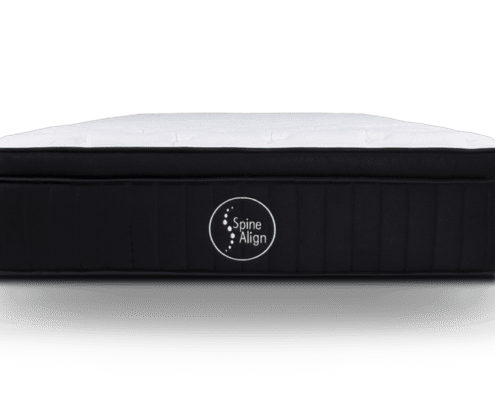 SpineAlign comes with a one hundred night risk free trial which allows you to take the mattress home and try it out for a couple of months before you commit to buying it. There is no need to commit to purchase and you are not obligated to buy. While this is quite a good offer some of the industry leaders are going even further; offering up to a hundred and twenty night trials. We would love to see SpineAlign rise to that challenge. In terms of warranty they offer a ten year limited warranty policy. They insist that their product is of the highest quality, of course, but also provide this warranty in case of ‘rare defects’. The warranty will cover you for ten years but only for issues arising from the construction of the bed and not stains, tears or breakage caused by an infirm base, Ten years is fairly standard in the mattress industry and we do know that other companies offer lifetime warranties. That being said the size of the warranty is usually more to do with the cost to the company than it is to do with testifying to their quality level.